We are proud to be the exclusive, recommended Travel Providers for these great Disney resources. Please visit their websites and check out their podcasts, events and blogs. They offer information and services to help you prepare for your magical vacation! AllEars.Net is the longest running independent Disney vacation information guide online, established in January 1996. Visit AllEars® for the most accurate, dependable and up-to-date information key to planning a magical Walt Disney World, Disneyland or Disney Cruise Line vacation. Thousands of photographs and pages of information allow easy access to important vacation destination content. Planning – Detailed information (when to go, tickets, events) to make the most of your time and money! Accommodations – Comprehensive fact sheets, thousands of photographs and reader reviews for all Disney resorts as well as our preferred off-site accommodations. Dining – Complete menus for all Walt Disney World and Disneyland counter and full service restaurants along with photographs and reviews to help you decide where to dine. Theme Parks and More – Learn the latest and greatest about Walt Disney World, Disneyland and the Disney Cruise Line attractions, shows, shopping, and entertainment. Rate and Review – Thousands of readers have posted their personal reviews about all aspects of Walt Disney World, Disneyland and the Disney Cruise Line. Learn from their experiences. Blogs – The AllEars® team of bloggers cover all things Disney from photography, new attractions, resorts, restaurants, editorial content and an up close and personal look at the little things found in the parks and ships; even Hidden Mickeys. The Companion Newsletter – AllEars® is sent weekly via email to over 133,000 subscribers and the promotional Ears the Deal goes out to over 97,000 subscribers. Each issue has a feature article, news, tips, reader letters and even a fun game the whole family can enjoy! Since 2001, Deb has raised over $300,000 for the Avon Walk for Breast Cancer through special fundraising events and donations. Funds raised are managed and distributed by the Avon Foundation, a 501 (c) (3) public charity. Grants are awarded to local, regional and national breast cancer organizations to support five areas of the breast cancer cause, including: awareness and education; screening and diagnosis; access to treatment; support services; and, scientific research. Support for the medically underserved is a key priority. WDW Radio is the award-winning online radio show dedicated to celebrating the magic of Walt Disney World. Hosted and produced by author Lou Mongello, this family-friendly show covers WDW news, vacation planning, reviews, trivia, history, fun facts, contests and features exclusive interviews with Disney Imagineers, executives, celebrities and more. The unofficial "Walt Disney World Information Station," WDW Radio has been named Best Travel Podcast for 2006 - 2015 and is also home to the Walt Disney World Trivia Books and Audio Guides to Walt Disney World. Lou is also the founder of the Dream Team Project created for the purpose of raising money to grant the wishes of children with serious illnesses to visit Walt Disney World through the Make-A-Wish Foundation of America. Donations and proceeds of special fundraising events run by The Dream Team Project are all used to help make the life of a child a bit brighter during a difficult time for them and their family. Mousetalgia is a weekly podcast with a primary focus on Disneyland, Disney California Adventure and the Disney Company. Mousetalgia’s four hosts, Dave, Becky, Kristen and Jeff, provide a wealth of insight into Disney’s impact on popular culture. 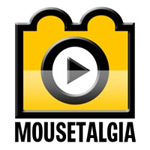 In addition to the podcast, Mousetalgia offers a forum site at http://www.mousetalgia.com, where users can share their own thoughts and opinions about different topics related to Disney. The Pacific NorthWest Mouse Meet is an unofficial Disney Fan Event that was created by Disney Fans FOR Disney Fans. This annual event, held in Lynnwood, WA, provides Disney enthusiasts the opportunity to get together to share and celebrate all things Disney.Check their website for dates and ticket information. All About The Mouse Central is more than just another Disney fan site, news site, or blog. It’s a site where Disney fans can come to get their Disney fix, but also it’s a site where they can come to showcase their own work to the Disney community. Chuck Lionberger's DisneyDaddy blog began in 2008. Each week he features tips and ideas to help make your Walt Disney World vacation go a little more smoothly. In addition, he shares thoughts and opinions about Disney as well as various photos from Walt Disney World every Friday. By the way, Chuck was named "Disney's Biggest Fan" in 2009 and he's a regular guest on the WDW Radio Show with Lou Mongello. Before you head to Florida on your next Walt Disney World trip, be sure to read the DisneyDaddy blog for tips to help you save money and save time! Passporter.com is a suite of unique Disney travel tools, with award-winning guidebooks, a weekly podcast, photo archive, articles, and an awesome community. The LaughingPlace is an on line community of Disney fans. Not affiliated with the Walt Disney Company, we are your one-stop site on the internet to find out what's going on in the Disney world, as well as connect with friends and fans. The Mouse Steps was started in 2007 to showcase photo walks around the Walt Disney World parks and resorts. We have evolved to cover so much more than that at the parks, resorts, movies, Orlando area attractions and restaurants (and California too)!